BOSTON - Tuesday, January 22, 2019 - Mayor Martin J. Walsh today announced applications are now open for the 2019 Love Your Block mini-grants. Applicants interested in transforming physical landscapes with social programs can apply here or email loveyourblock@boston.gov by Friday, March 1, 2019. "The Love Your Block program is a fantastic way for residents and organizations to get involved in their community and continue to show why the neighborhoods of Boston are such special places to work and live," said Mayor Walsh. "I encourage all interested residents to apply for these grants." Last year, 60 applications were received and five were chosen to receive funding. Projects included revitalizing community gardens and beautifying vacant plots of land. Neighborhood mini-grant winners are awarded up to $3,000 to either implement or revitalize a public space used to address a larger issue identified by the community. Past examples of projects include community gardens, art installations, and placemaking. 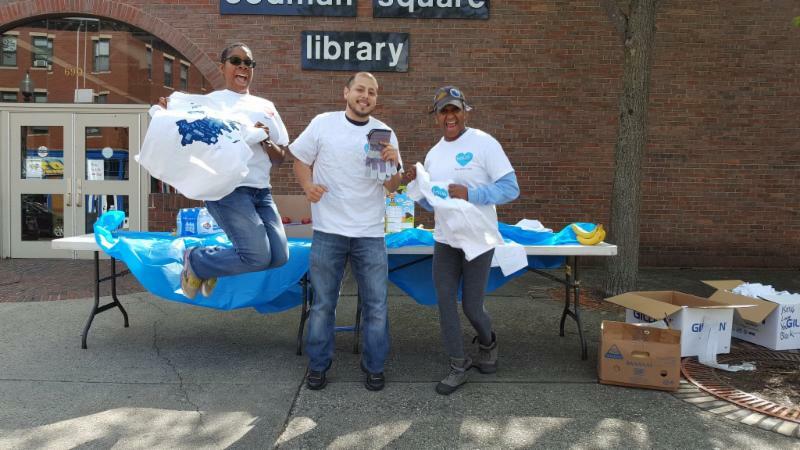 "Boston's Love Your Block grant helped the Mattapan Branch of Boston Public Library generate excitement surrounding healthy eating and gardening," said Celia Contelmo, teen librarian at the Mattapan Branch of the Boston Public Library. "Because of LYB's funding, library patrons of all ages were able to participate in growing fruits and vegetables in their own neighborhood." The Love Your Block mini-grant award selection committee includes representatives from the Love Your Block team, the Mayor's Office of Neighborhood Services, Public Works Department, Parks and Recreation Department, Boston Transportation Department, City Hall To Go Program, Department of Neighborhood Development, and the Mayor's Office of Arts and Culture. Received $800 to revitalize the community garden by updating its infrastructure: repairing a broken compost bin, creating a garden message board, repairing the water control box covering, and adding additional garden plots. Received $2,700 to create a "peace park" at Mt. Vernon Plaza with landscaping, water features, and memory rocks to help bring awareness to those suffering from trauma, and substance use disorder. Received $3,000 to turn a vacant lot into a community garden as an extension of a new community center that seeks to educate and engage residents of all ages in conversations around healthy eating and environmentalism. Received $1,000 to beautify the corner lot by planting perennials, revitalizing the garden plots, and installing trellises decorated with artwork. Received $500 to rebuild community garden beds, as well as raise the garden beds for easier accessibility for children and seniors. Originally a partnership between the City of Boston and Cities of Service, Love Your Block officially became a City department in 2018. Love Your Block aims to help transform physical landscapes with social programs that highlight the culture of community by way of mini-grants, increased volunteerism, and service-based projects.